The Celtic Variations Bracelet is a very interesting bracelet to make and wear. You can place the Celtic Knot sections anywhere along the bracelet. Also the number of knots you make is entirely up to you. 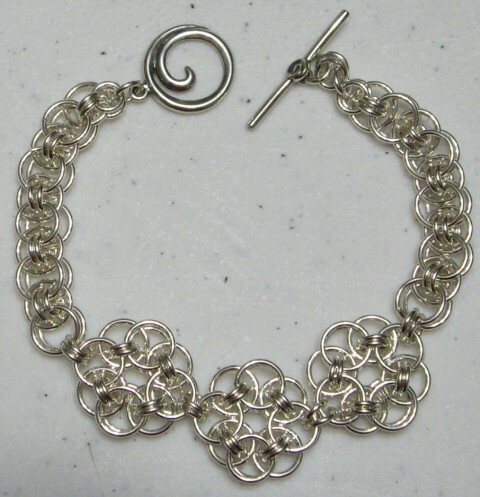 The kit comes with enough rings to make a bracelet with three knot sections as shown in the picture. It is a beginner weave that is easy to make. The clasp is not included in the kit.